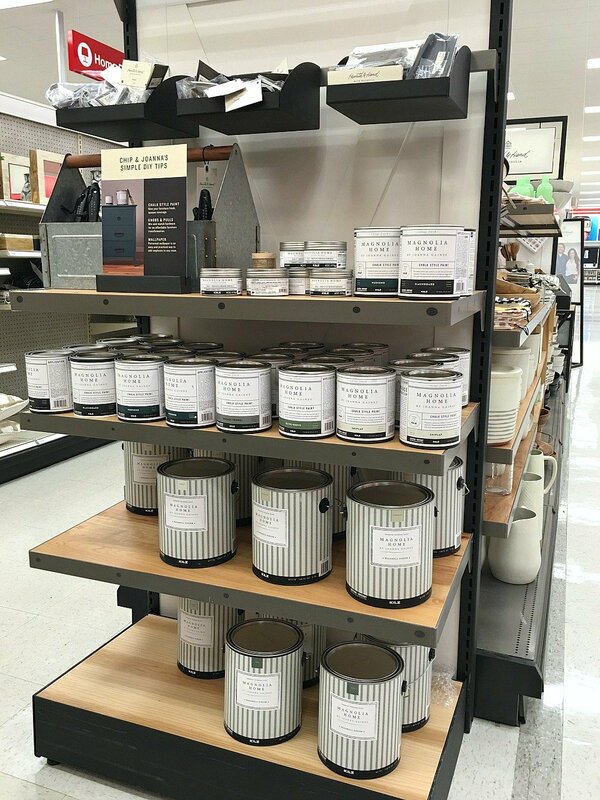 Joanna Gaines Paint Line Now Stocked at Target! Yes!! You read my post title correctly!! 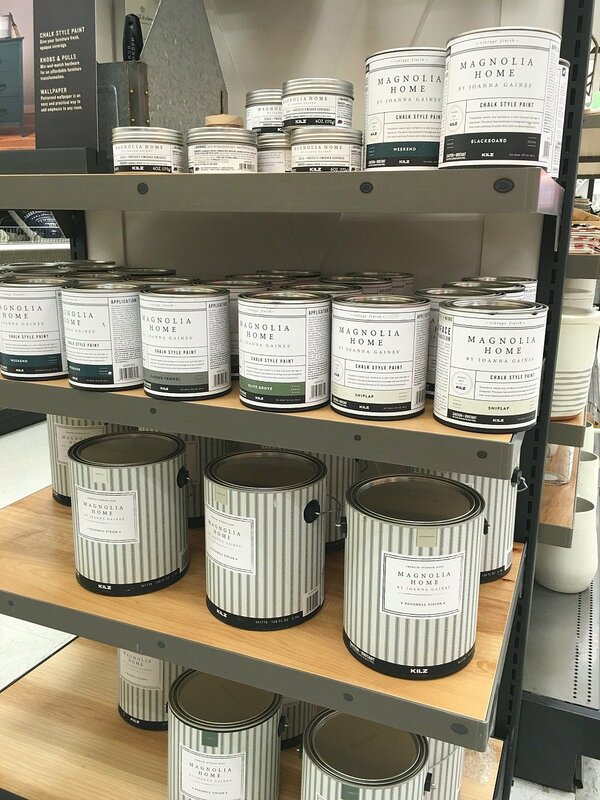 Joanna Gaines’ Paint Line (Magnolia Home Paint) is now available and in stock at your local Target!! Yesterday, my daughter and I ran into our Target to pick up a rug and I walked by the Chip and Joanna Gaines “Hearth and Home” section and did a double take when I saw all the shelves stocked with various sizes and colors of Joanna’s Magnolia Home Paint. Just to give you reference, my local Target is the smallest store design that Target has and in our store, the paint was fully socked with on an end cap of the Hearth and Home section. 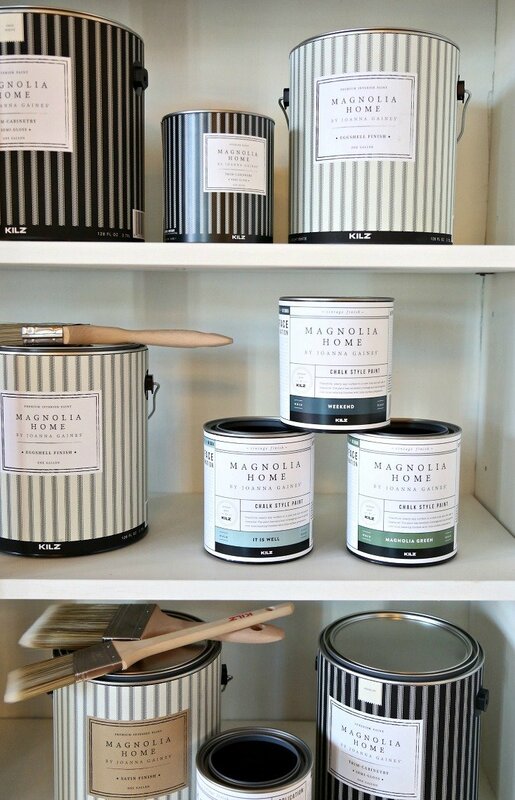 For being such a small store, I was really impressed that they are offering the full line including Magnolia Home Interior Paint, chalk paint, wax all in a wide-array of colors. 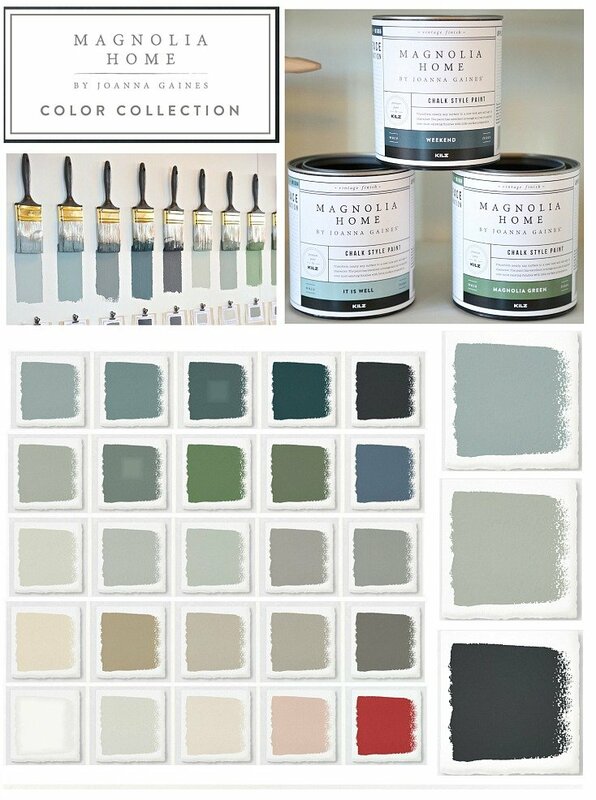 I bet in larger stores, there is a much bigger dedicated Magnolia Home paint section. 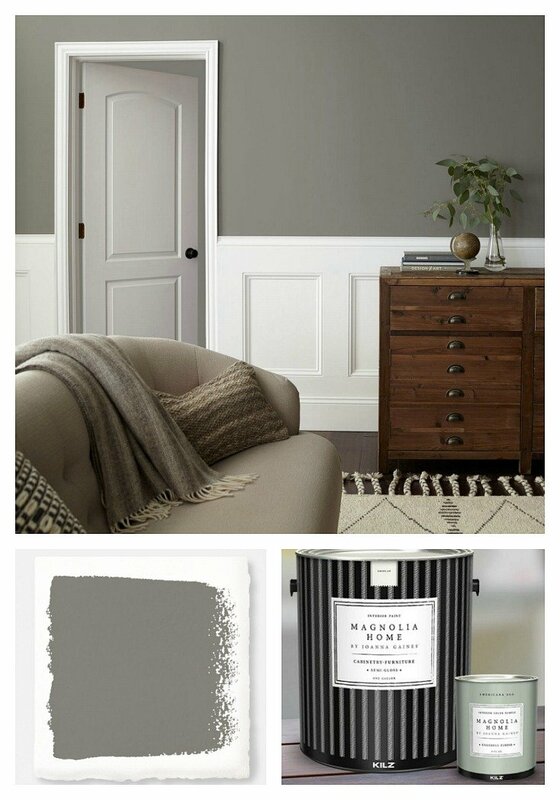 Over the last couple of years, I have talked a lot here on the blog about how much I have been impressed with the coverage and colors of Joanna’s Magnolia Home paint line. It’s really a fantastic paint line and of course, Joanna nailed the colors! The smartest thing Joanna did with this line is to partner with KILZ to create the paint line. KILZ makes the (hands-down) best primer on the market and makes an amazing paint product. 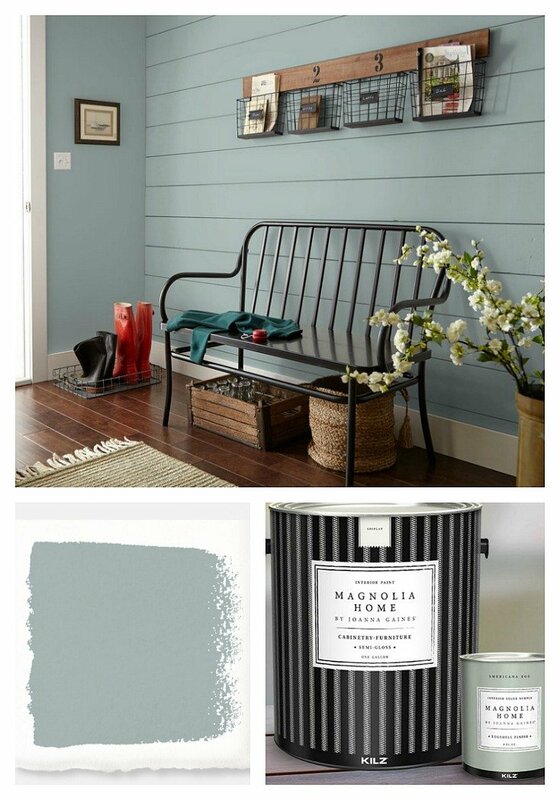 As far as the Magnolia Home Chalk Style paint, I have been very impressed with the finish and (again) the great color selection. 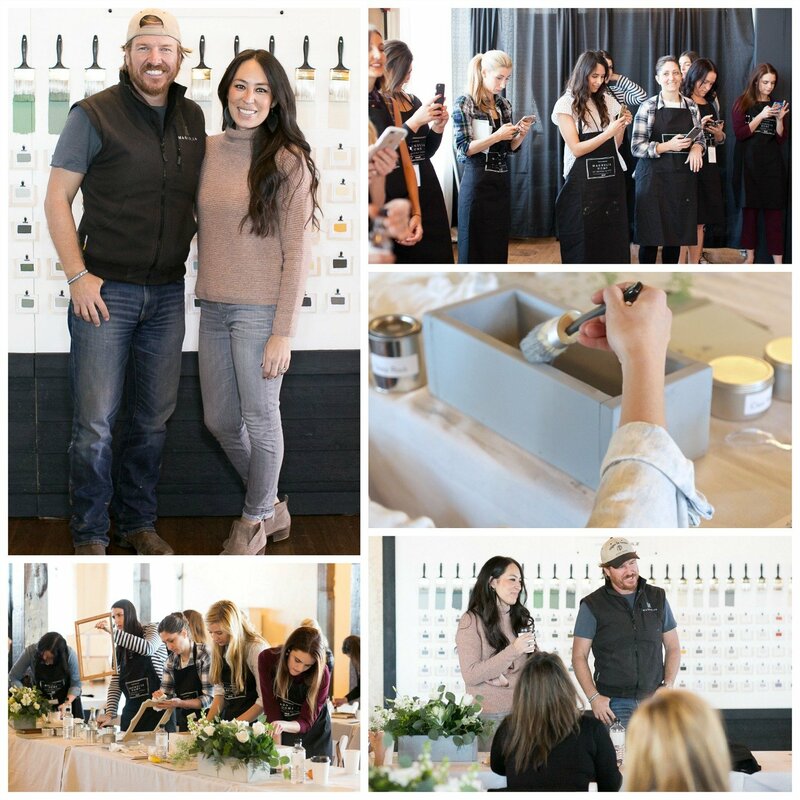 A couple years ago, I went to Waco to paint with Chip and Joanna at the launch event for the chalk style paint. While I was at the event, I learned all about the paint and we painted and tested it and the finish is one of the prettiest chalk paint finishes I have seen. Joanna really nailed the chalk style line as well! You guys will love it! Go pick up a small can of it at Target and play with it. You will see why I love Joanna’s paint line so much and the color pigmentation. I cannot tell you how excited that I am that I no longer have to order the paint online. It’s a happy paint day friends! 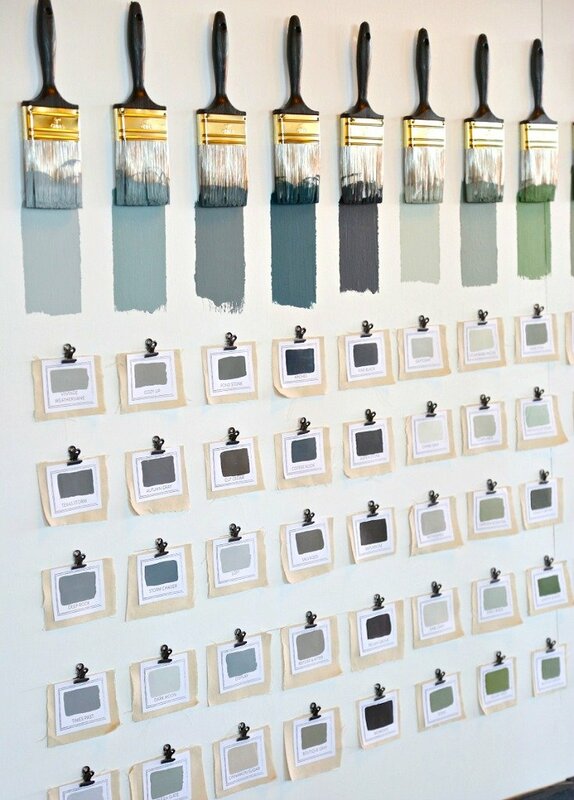 What are the names of your two favorite paint colors? There are no captions and both are great. I can’t wait to go to target and check out their paints and home decor. Thanks for sharing. Have you selected some favorite colors in this line yet? HI, which type paint should I use to repaint my dresser and bed? I know nothing about paint but love the colors you’re showing.